This mod is also featured under my account name @ planetminecraft.com. It is not stolen. I have made a note on the PM page that can be viewed here. This will allow you to take a diamond tool, and apply super hard obsidian, with a touch of gold, to create a better tool. 5 new tools, slightly stronger and faster than diamond. 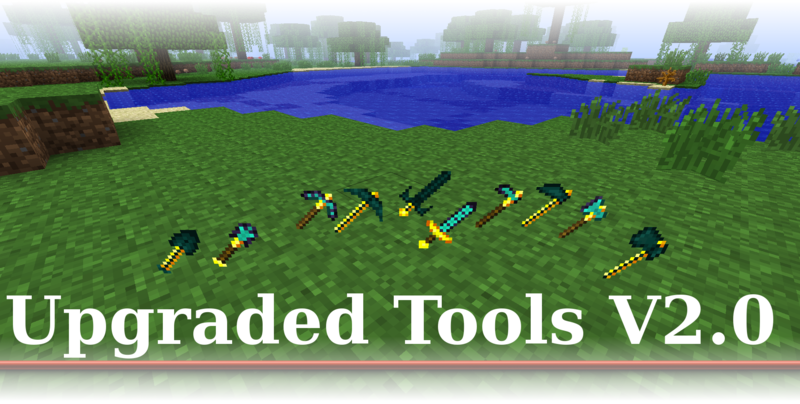 5 new “God” tools, Hard to obtain, very, very, fast. Recipes list can be found in the recipes.txt file. Download- I’m not going to make you go to any adfly garbage…So that being said, just click the link. Open the Readme file included. Possibility to upgrade further to “God status” EX. “God axe” -DONE! 2.0: God tools added. Increased durability and fast speed. 1.1: Names added, increased mod compatibility. This is my first, ever, mod and plunge into the java language. I am VERY open to feedback, positive or negative, and new ideas. Hey buddy, sorry that I had to close down my FTB server. Cool mod btw.